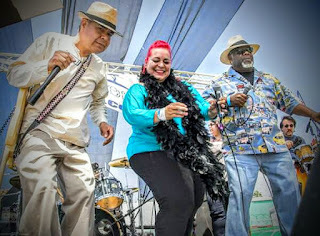 The Wild Pack Band: Guest band is "Hola Soy Lola Blues Band"
Guest band is "Hola Soy Lola Blues Band"
Mama Bears Meatloaf Jam - Monday 15-August-2016 STARTING at 6PM! Everyone is WELCOME! JAM * DANCE *JUST HAVE FUN! Featuring top local and regional blues musicians. The house band is made up of members of Wild Pack, and Tsunami Band. All and any musicians that want to jam. Mondays Guest band is "Hola Soy Lola Blues Band" all the way from TJ! 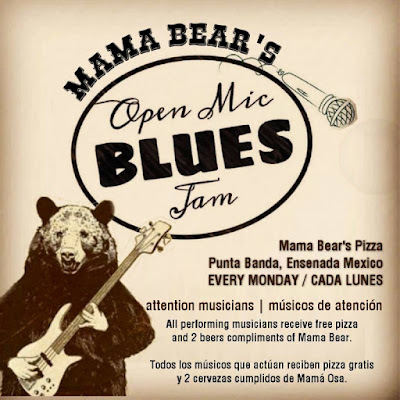 Mama Bear's Meatloaf Jam es un atasco semanal con los mejores de blues locales y regionales músicos. La banda de la casa se compone de miembros de Wild Pack y Tsunami Banda. Todos los músicos son bienvenidos a unirse a la mermelada. Great Pizza * Burgers * Salads and Good Heart Felt People. Thank you Mama Bears!